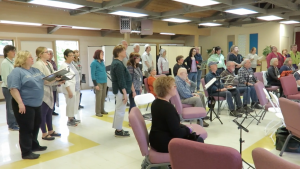 Sit in and Sing with CRC this summer! 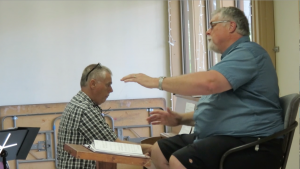 CRC in rehearsal with Director, Robert Hazelrigg and Pianist, John Hazelrigg (brothers). Sunday, June 11 and 25 from 1 – 3. Saturday, July 1 and 8 from 10 – 1. We need tenors, baritones, and basses who read. CRC is a good choir with a very friendly atmosphere!